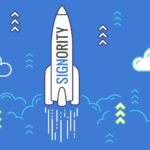 As any growing business, we at Signority are constantly looking for ways to become a more efficient business. In a recent chat with our friend, Pascal Laliberté, a Jobs-to-be-Done consultant, we explored ways for businesses to improve sales through understanding the job their clients need. 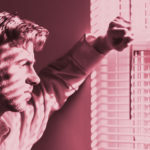 He was gracious enough to write a post for us to help you understand the traps of a good UX, the importance of understanding your users’ needs, and how to build a worse product to improve sales. — Slick product you got there. — Thanks bud! We’ve worked hard on it. We owe it to the UX designer and the development team. They gave it all they had. — Very cool. Are you getting a lot of traction? People using it? — Not enough, actually. We’re trying to get more sales. — It’s confusing, though. We’ve got a great product, the people that sign up have good things to say, we listen to their feedback. But it’s just not selling enough. We’re trying different marketing approaches, growth hacking, stuff like that. — Good call. Hope it works out. You’ve heard that situation before: good product, great UX (User Experience), good feedback from your users, good story. But it’s not selling. You’ve tried lowering the price, being competitive, matching your competitor’s features. It’s a trap that goes like this: you find a good market opportunity and you have a go at it. You build a good UX (User Experience) in the hopes of attracting people, removing usability barriers in the sign-up process and in key areas of your product. Despite all that, no sales! How come? In her book Badass: Making Users Awesome, Kathy Sierra teaches us something about what makes a person want to tell the world about the product they just used. You have to make her feel awesome. Not that she used an awesome product. That she feels like she is awesome. She learned something, she feels at the top of her game for using it, she found something amazing about herself while using the product. She wants to tell the world about it. She feels totally Badass and she can tell others how they too can become Badass by using the product. In the history of electronics, the vacuum tube had a good run. This technology powered floor-standing TV sets, tabletop radios, and industrial-grade electronics sold to big corporations. The manufacturing process and distribution chains were well established. Good business. When the transistor came out of AT&T’s Bell Laboratories in 1947, it wasn’t a threat to the vacuum tube business just yet. Transistors couldn’t handle the power needs of the devices which used vacuum tubes, and the race was on to find a way to get transistors to handle those power demands. Companies like RCA poured hundreds of millions of dollars into R&D to solve that tricky technical problem. When Sony came out with the portable radio, people thought it was going to be a dud. Compared to the tabletop radios, the sound and the reception were awful. It was a worse product. However, Sony could manufacture it cheaply and sell a ton of them. Teenagers loved them. For a few bucks, they could listen to the music they liked, on the go. Done deal. Sony used the low-powered — but rugged — transistor to build those radios. They became good at manufacturing these transistors, used the money from the sale of the portable radios to fund the development of the next transistors, and the rest is history. Harvard Business School professor Clayton Christensen was the guy from whom I heard the portable radio story. He’s been interested in understanding how big innovative companies fall, and how small companies can eat into the big company’s markets. A theory emerged from his research. He called it the Jobs-To-Be-Done Theory, and it serves to shed light on the causal factors for a person to go out and buy a product. Causality in Marketing? Tall order! In short, it says that people don’t buy products, they hire a product for a job. The distinction is subtle, but it’s key to understanding the situation that caused the person to seek a solution. A job is a precise and detailed piece of a puzzle. For example, Frank didn’t buy a business book, he hired a business book to help him advance in his career. Kelly hired a night out at the restaurant so she can connect with her husband. John hired the project communication software so he could change the work culture away from meetings and interruptions and towards tackling deep meaningful hard problems without interruptions. You see how the job is the core of the reason why people make a switch toward your product? So understand the job well, and you’ll be able to sell your product in a predictable way (and for a good price too, because you’ll know what problem it’s solving). However, if your product addresses the job of the buyer in a lukewarm or diluted way — diluted, say, by many extra features the user doesn’t need — you’ll create anxiety in the buyer’s mind. Your UX might be great, but if you don’t address the job of the buyer, you won’t have a sale. You need to create a worse product. Option 1: Create a beautiful product that answers what your buyers tell you they want. Option 2: Create a product that addresses the job of your buyer perfectly, but it’s a “worse product”. Which one of these two options will help you sell more, do you think? Which option will give you a product that is more deeply useful, and which will make the user feel Badass? Option 2. That’s why I propose you build a worse product, ignore customer feedback and change your focus to address the precise job of your buyer. You’ll then have a good bet at building a more useful product that’ll sell more. To find the job for which some of your customers have bought your product, consider this course on how to conduct Jobs-To-Be-Done Interviews, offered by the Re-Wired Group. Interview 10 people and you’ll have a good sense of the job. And to learn more about Jobs-To-Be-Done, I recommend the book Competing Against Luck by Clayton Christensen. The audiobook version from Audible is very good. Hope this helps. Pascal Laliberté is a Jobs-To-Be-Done Consultant, Interaction Designer and Web Developer in Ottawa, Ontario. You can also read his other articles on Medium.com. 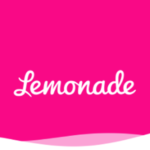 Signoritys Take on Lemonade Insurance: What’s the Big deal?